Christ Church School is a Voluntary Aided Church of England Primary School maintained by the London Borough of Croydon and supported by the Southwark Diocesan Board of Education. We cater for pupils, aged 4 to 11 years. The School is organised in seven classes beginning at Reception and going through Classes 1 to 6 when pupils transfer to secondary school. The School was founded in 1871. It was originally sited on the Godstone Road, moving to the High Street, Purley, in 1881 and to its current site in 1962. We are proud of the excellent tradition that the School has fostered over the years in the parish. 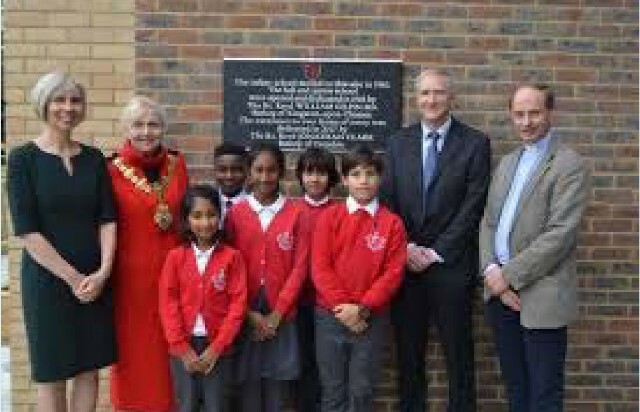 As a Voluntary Aided Church School the majority of the Governors are appointed by Christ Church PCC and the Southwark Diocesan Board of Education. There is also one Local Education Authority representative as well as a teacher and a non-teaching staff representative. One Governor is elected by parents, whilst the constitution ensures that at least two of the remaining Governors are also parents of children at the School. The major intake of pupils to the School is from families who regularly attend church either from within the parish or from neighbouring parishes. Through our close connections with Christ Church and other local worshipping communities our School has a strong Christian commitment. We believe that through Christian teaching and example children will understand the enrichment that personal faith in Jesus brings. We aim to educate children with a firm foundation of Christian knowledge and experience in order to encourage their spiritual development and to support both parents and parishes. Christianity permeates our curriculum, and our RE work reflects the evangelical stance of Christ Church. Services are held in the Church on appropriate occasions. We greatly value the work of our Parent Teacher Prayer Group which meets regularly. All parents are very welcome and details of meetings are given in Newsletters. In March 2007 the School was awarded the BECTA ICT Mark and in May 2007 was re-awarded the nationally recognised “Investors in People” accreditation, as well as the Basic Skills Agency Quality Mark. In July 2009 the School was also awarded Healthy Schools Status.